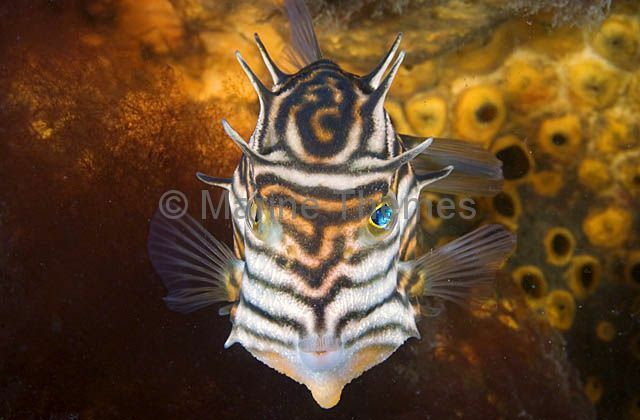 Shaws Cowfish (Aracana aurita) Feeding on mysid shrimp. 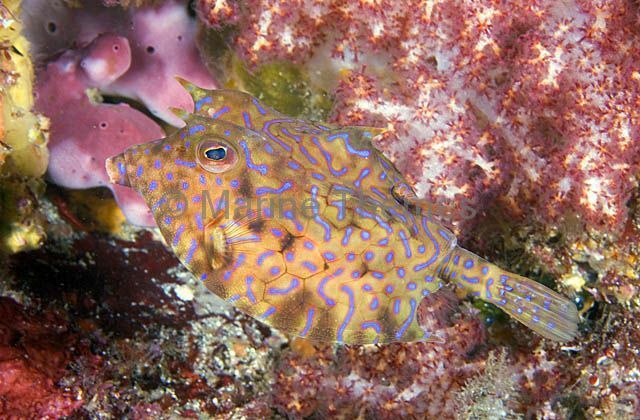 Female colouration. 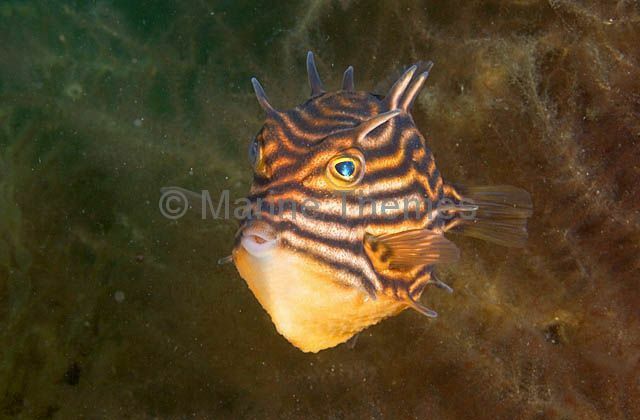 Shaws Cowfish (Aracana aurita) Male. 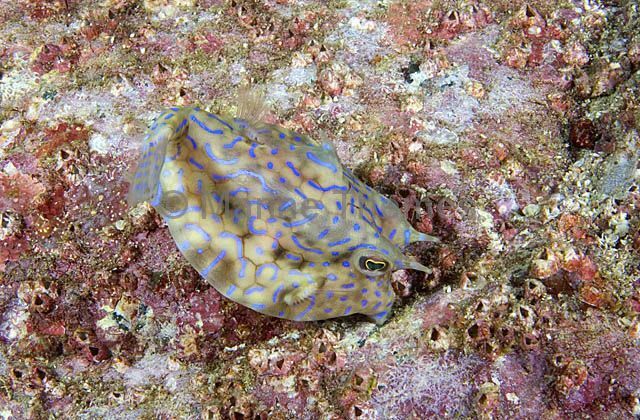 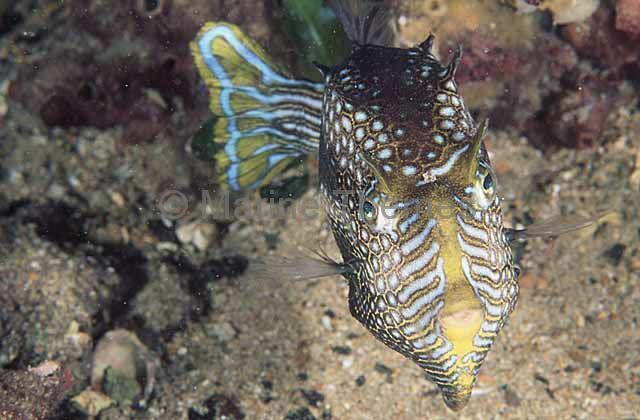 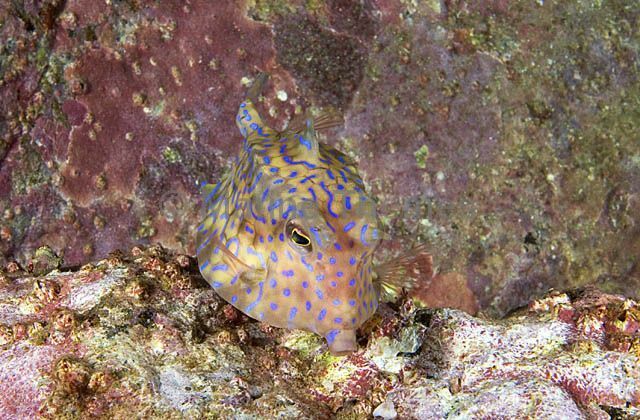 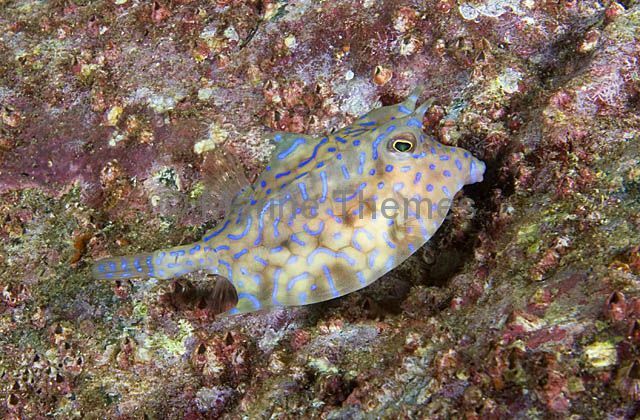 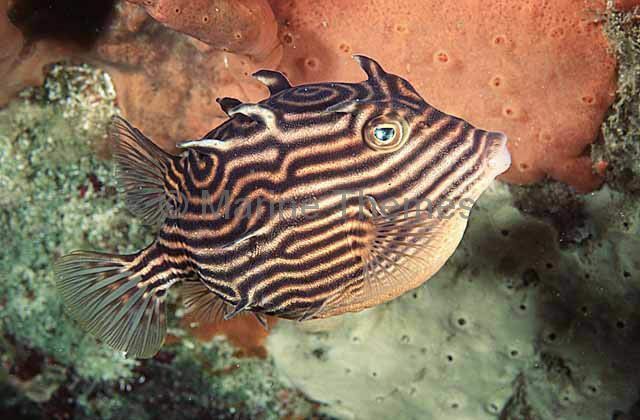 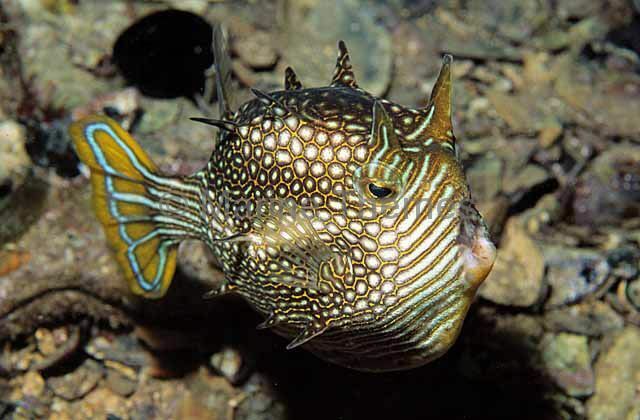 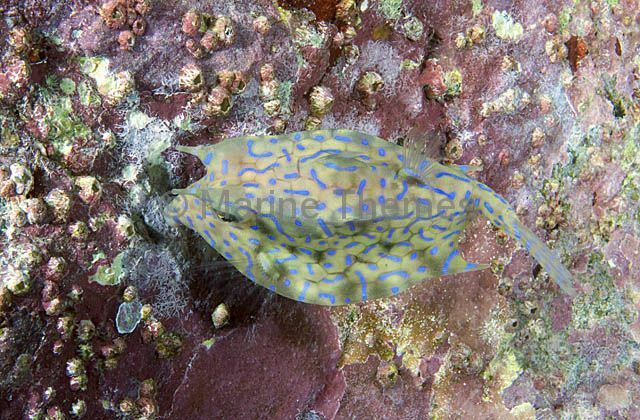 Shaws Cowfish (Aracana aurita) Female. 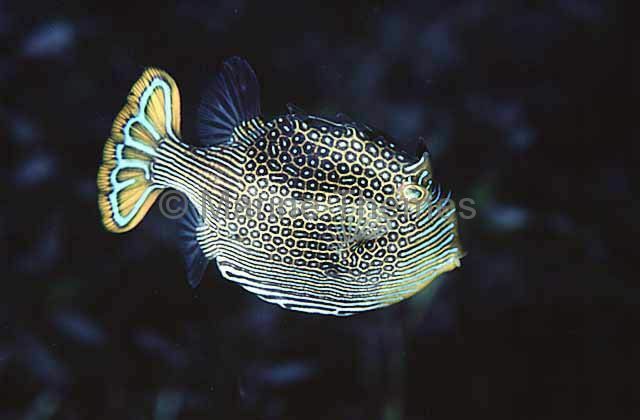 Shaws Cowfish (Aracana aurita) Female hovering in front of sponges. 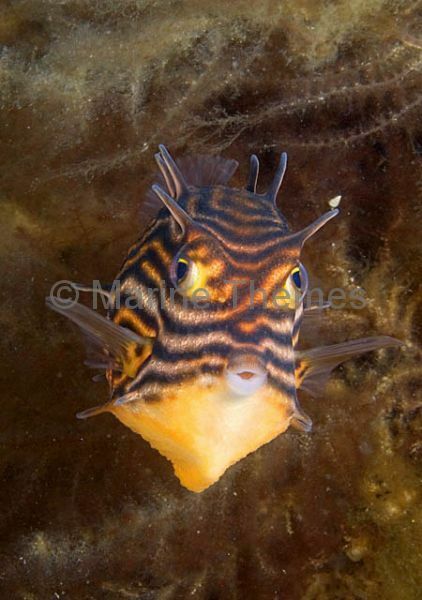 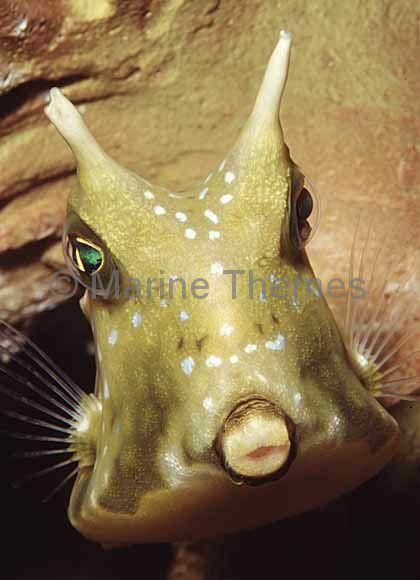 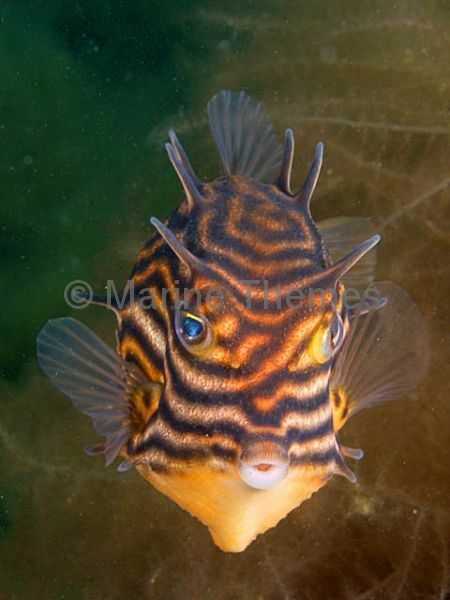 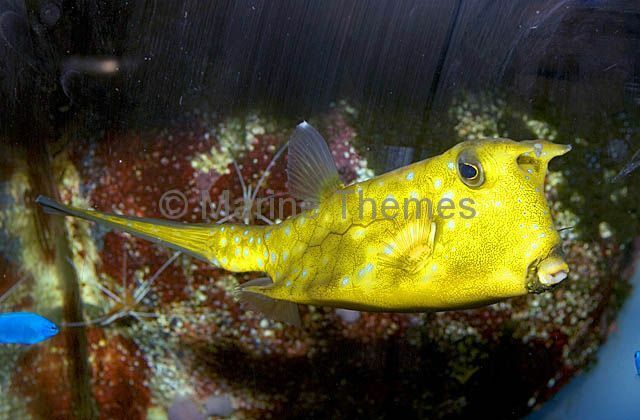 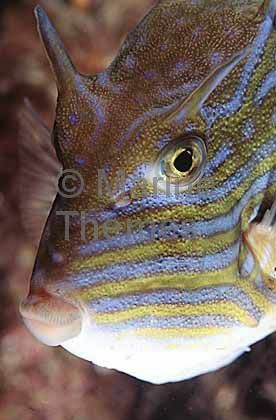 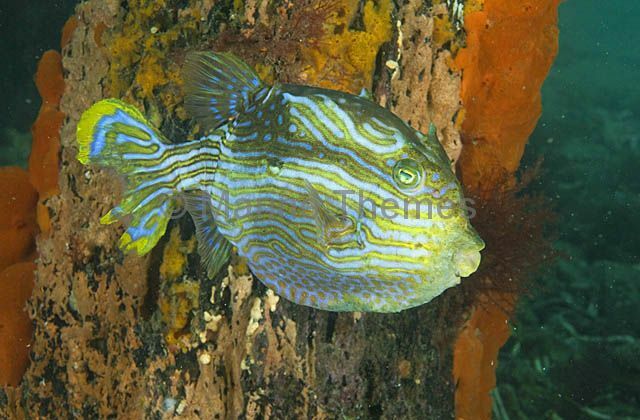 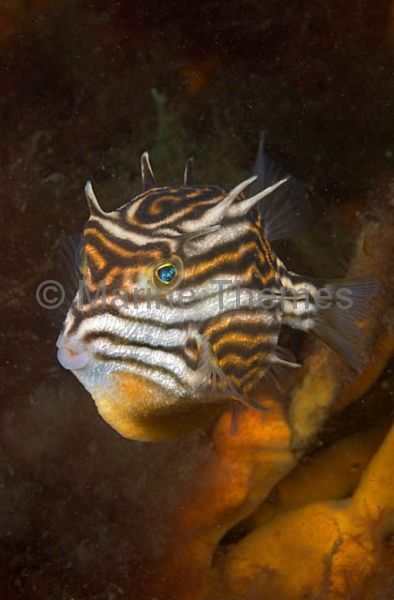 Thornback Cowfish (Lactoria fornasini) feeding on rocky reef. 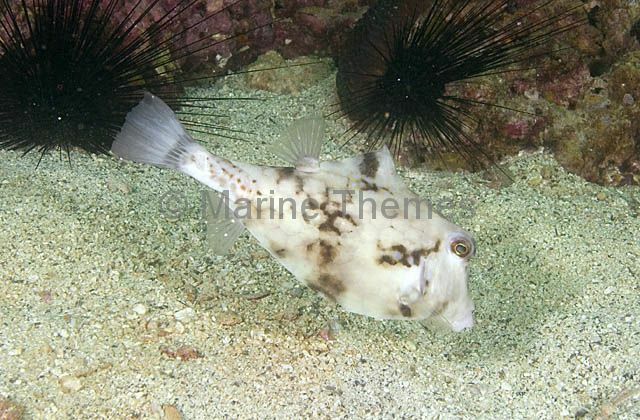 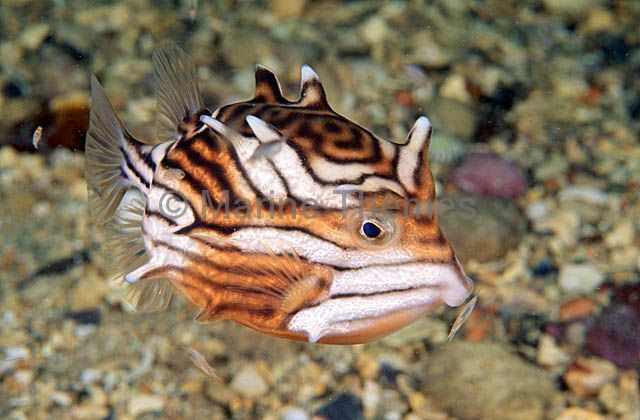 Thornback Trunkfish (Tetrosomus gibbosus) foraging for worms and crustaceans on sandy sea bed.